Happy Friday! The weekend is upon us and I have easy dressing on my mind. 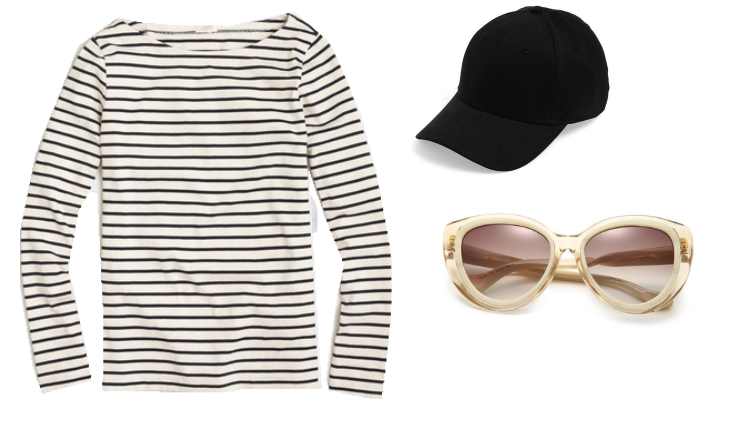 Just because a look is relaxed doesn't mean it can't be snapworthy. Actually, I usually discover that the most casual of looks is often the chicest. Probably because it allows your true essence to shine. Love that. So, I'm not sure if it's been these still grey days or chilly temps but I'm nonetheless, loving neutrals. Black, white, olive and taupe are easy to pair and work effortlessly every time. 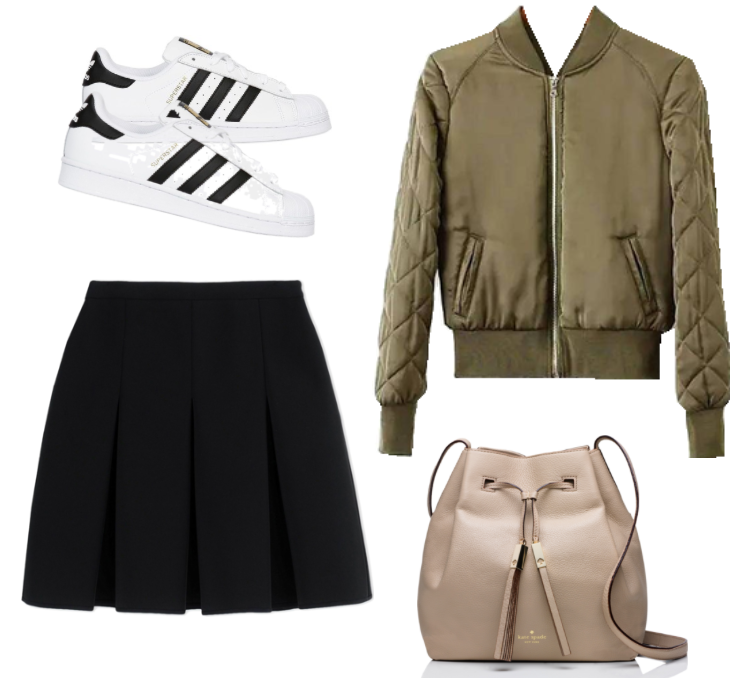 Throwback style sneaks, a leather drawstring bag and plain little baseball cap make for an easy laid-back look. Perfect for weekends, ready for fun. These pieces also play nicely with one level up staples like this skirt and this classic top. Mix and match them anyway you wish. Great style is just that and has not hard and fast rules. What could be better than that? Maybe a long weekend…? Hope you are ready to enjoy yours!